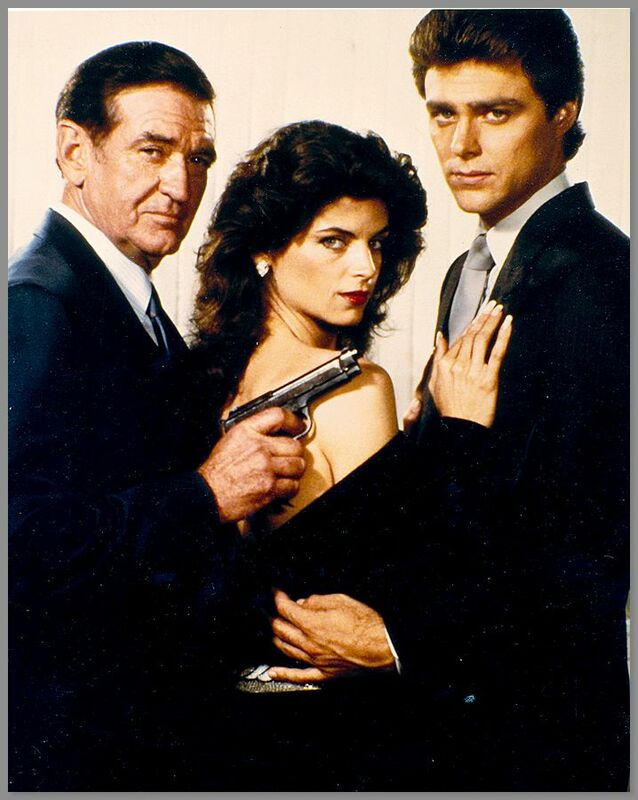 RobVogt80s: Your chance to be a spy: Remembering Rod Taylor and "Masquerade"
Your chance to be a spy: Remembering Rod Taylor and "Masquerade"
are Rod Taylor, Kirstie Alley, and Greg Evigan. Imagine sitting at home and getting a phone call out of the blue. The first thought that would go through my mind is, “Why me?” Followed quickly by the doubt that I had the necessary skills involved. matter of national security. Oh, and don’t tell anyone. Recruiting ordinary citizens to play a part in covert, often deadly, international missions of intrigue was the premise of “Masquerade”, a show that only lasted a handful of episodes in 1983, but made a lasting impression on me. I was reminded of “Masquerade” a few weeks ago when its star, Rod Taylor passed away at the age of 84. Once more, I read about “Masquerade” long before it finally aired on peasant vision, Channel 2&7 to be exact. It featured a star-studded guest cast each week playing ordinary people recruited to take part in international missions. They were led by Lavender, played by Rod Taylor, who introduces each new agent to their assignment at the outset of each episode. They are then chaperoned through the mission by two young, trained agents. Their cover is a tour bus, with Alley and Evigan acting as tour guides. It gave them the perfect way to travel to international locales to complete their missions. I had never heard of Rod Taylor, but I had heard of the other two regular cast members: Greg Evigan and Kirstie Alley. Evigan had played the title role in “B.J. and the Bear” for three seasons, while Kirstie Alley was fresh off a breakout performance as Lietuenant Saavik in “Star Trek II: The Wrath of Khan”. In fact, it was her first role since the Star Trek movie. She would go on to success when she joined the cast of “Cheers” as Rebecca Howe when Shelley Long left in 1987. Greg Evigan would also go on to greater success, in the show “My Two Dads”. The theme song was sung by Crystal Gayle, and it was a catchy tune. Unfortunately, the show itself did not catch on, and was cancelled after 13 episodes. “Masquerade” was another show that caught my attention because it was about spies and espionage. This one had a different twist, which made it more like “The Love Boat”, “Hotel”, and “Fantasy Island” than “Man from U*N*C*L*E*” or James Bond moves. It featured a different ensemble cast of guest stars each week, just like “The Love Boat”, “Hotel”, and “Fantasy Island”. There was a lot of potential with that premise, especially the idea of ordinary citizens working as spies. Some of that same material was mined later in the decade with “Scarecrow and Mrs. King”, although in that situation a recurring character was an ordinary citizen drawn into spying. I would, if my country needed me of course.